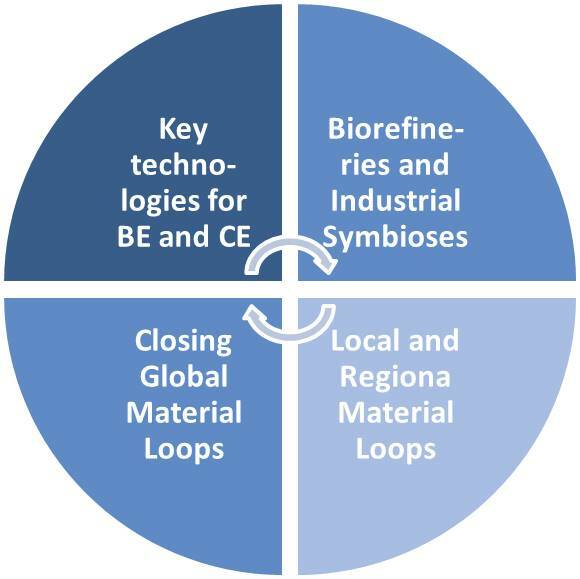 With our research works we develop tools for the analysis, assessment and design of bioeconomy and circular economy systems and apply these to problems of practical relevance. We use quantitative approaches from business administration, esp. Operations Research, and combine them with methods from engineering and natural sciences. Thus, we want to contribute substantially to the elaboration of conceptual and methodical foundations as well as specific problem solutions in the considered fields. Focus areas of our research are the topics depicted in figure 1.